Here is another étude by Joachim Andersen. This 3/4-time Adagio in B minor is study No. 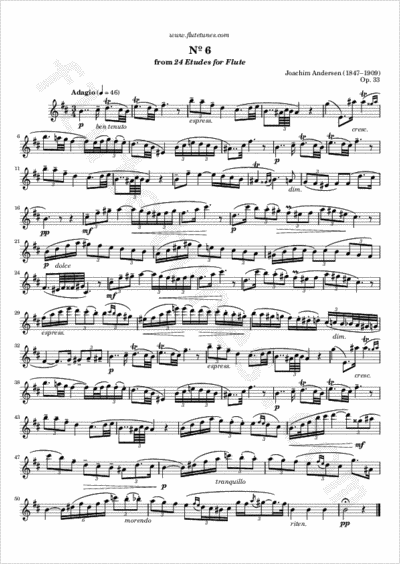 6 from Twenty-Four Etudes for Flute, Op. 33. It will let you revise many different rhythmic patterns.